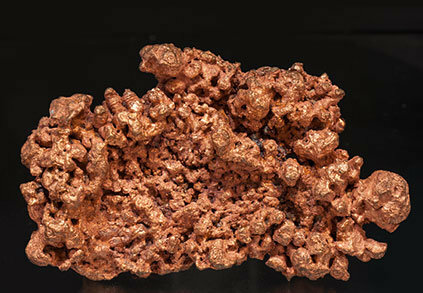 Aggregate of deformed and rounded crystals. 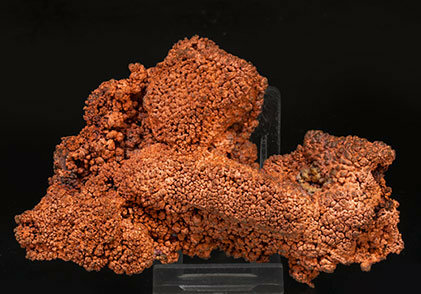 A curious growth that is the result of the removal of copper during the mining in which the copper recrystallizes sometimes acquiring the shapes of the objects and machines it has grown on. 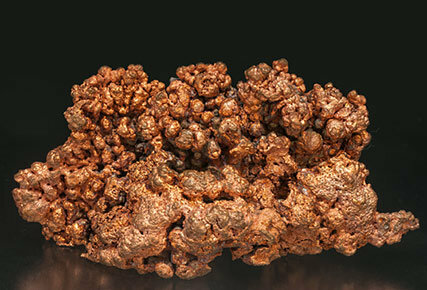 In other words, this copper has been formed naturally but is "neoformed" since its origin may be due to human activity in an old abandoned mine.